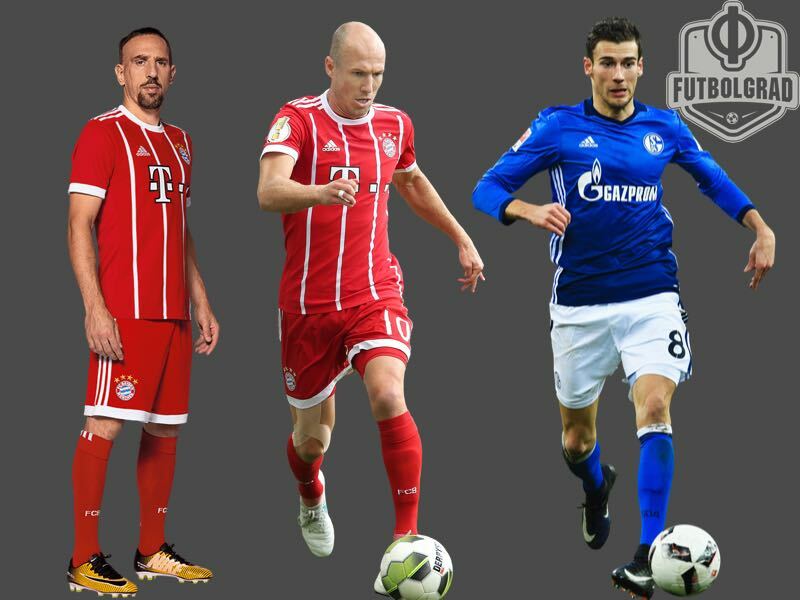 On January 1, 2018, fast approaching it is time to take a look at the 11 top Bundesliga free agents for the summer of 2018. Transfermarkt.de has recently published a list of the eleven players that are going to be without a contract by the end of the season. Given the current market situation, the Futbolgrad Network has evaluated the likelihood of each of the players staying with their clubs, or where they could end up going by the end of the season. Valued €4.5 million Lukas Hradecky has become one of the steadiest Bundesliga keepers since joining Eintracht Frankfurt in the summer of 2015. As a result, Eintracht Frankfurt have attempted to renew the contract with the Finnish national team goalkeeper throughout last season. Initially, it was believed that Frankfurt would sell the keeper last summer should they fail to renew his contract as it would have been the last chance for the club to earn a profit. But despite the failure of signing a new contract Eintracht’s sporting director Fredi Bobic decided to hang on to the keeper. A contract renewal, however, remains unlikely as Hradecky wants to test the market. The Finnish keeper should be warned though Bundesliga keepers have struggled in the past making the transition to a top foreign league. Perhaps a positive league finish in either the Europa League or even the Champions League could convince Hradecky to renew his contract. The keeper also might evaluate the goalkeeper situation in Europe’s top leagues before making his choice. With the likes of Bayern and Dortmund, in Germany, and some big clubs, like Liverpool, likely looking for new keepers in the summer it might become difficult for Frankfurt to hang on to Hradecky. At the same time with Kevin Trapp unhappy in Paris the Eagles could already have a replacement lined up. The Argentine defender was signed by VfB Stuttgart from Atlético Madrid in the summer of 2015. A solid left-back Insúa never managed to completely reach the potential that scouts saw in him when he first signed for Liverpool all the way back in 2010. A five-time Argentine national team player Insúa has played eight games for Stuttgart this season. With Stuttgart focusing on the South American market under sporting director Insúa’s experience could be seen as a valuable commodity to integrate young Argentine players. On the other hand, the Swabians will closely follow his progress this season to evaluate whether re-signing him will be in their best interest. Marc-Oliver Kempf has already announced that he will not renew his contract with SC Freiburg and leave the club as a free agent at the end of the season. Part of the squad that won the U-21 European Championship with Germany this summer Kempf is considered a highly sought-after centre-back, who has already been linked with the likes of VfB Stuttgart and Hannover 96. A 22-year-old left-footed defender Kempf could further increase his market value by helping SC Freiburg to remain in the Bundesliga—suffering from a small muscle injury ahead of the winter break he has been adamant that he will do everything for Freiburg before leaving this summer. Given his recent injury history, other clubs will likely refrain from buying him out of his contract early. Once one of the best defenders in the Bundesliga Neven Subotić has struggled with injuries in recent seasons—former head coach Thomas Tuchel than told the defender that he needed to find a new club. Loaned out to Köln last season Subotić has returned to BVB this summer and after Tuchel’s successor Peter Bosz was fired and replaced with Peter Stöger has been given some playing time. Stöger’s arrival, who had also coached Subotić at Köln, might give Subotić some hope that he could have a future at BVB after all. Rumours linking Dortmund to the likes of Manuel Akanji, however, suggest that the marriage between Dortmund and Subotic will end this summer. The Brazilian right-back has been pushing for a move away from Munich all winter. Linked with several clubs in Brazil Rafinha hopes that increased playing time could open his door to play for the Seleção at the 2018 FIFA World Cup in Russia. Bayern head coach Jupp Heynckes has been adamant though that Rafinha will have to stay at Bayern until the summer. The 72-year-old head coach wants to have squad depth in all areas to remain competitive in the Champions League, Bundesliga and DFB Pokal. The 30-year-old Austrian national team midfielder has been linked with a move away from Werder Bremen for the last two seasons. Last summer a move to Turkey seemed imminent, but instead, sporting director Frank Baumann convinced the midfielder to stay in Northern Germany. Whether Junuzović will remain in Bremen long-term remains to be seen. Used in nine Bundesliga games this season Junuzović has missed some of the season with injuries. Bremen struggled during that period and fired head coach Alexander Nouri. Now with Stefan Kohfeldt in charge, Bremen are still in relegation worries, at the same time. However, the club is on the up and are looking good in the relegation battle. Only by staying in the league will Werder have a chance to renew the contract with Junuzović, who will likely leave for Southern Europe at the end of the season. Chanted by previous Schalke head coach Markus Weinzierl the 22-year-old central midfielder has seen a renaissance under new head coach Domenico Tedesco. Tedesco has moved the attacking midfielder from the playmaker position to a more defensive number eight role. In his new role, Max Meyer has blossomed and become one of Schalke’s most important players. The period under Weinzierl has, however, led to a sense of re-evaluation between Meyer and Schalke. The midfielder is attached to the club but wants to see the direction the club is taking in the next few months. The current tendency suggests that Meyer will remain at the club. At the same time, his form has not been left unnoticed with top clubs all over Europe, with Tottenham Hotspur, for example, tracking his development. Meyer has told the media that a decision will be made in March. Leon Goretzka is perhaps the most highly sought free agent on the European market. A fantastic 2017 FIFA Confederations Cup where many observers believed that he was the player of the tournament has meant that the likes of FC Barcelona, Bayern München, Manchester United and Liverpool have been linked with the player. Bayern have even been rumoured to have signed a pre-contract with Goretzka, which has been vehemently denied by both the player and the club. Schalke in the meantime have offered Goretzka a new contract worth €12 million a season. Schalke know that some clubs might even top this offer at the same time the club hope that Goretzka, who has often been compared to Stefan Effenberg, can be motivated by the current development at the club as Schalke are on course to return to the UEFA Champions League. One Champions League title, seven German championships, five DFB Pokal titles and one European footballer of the year award. Frank Ribéry is a legend without a doubt. Sadly, his time might slowly come to an end. Without a scorer point in eleven Bundesliga and Champions League games, there are signs of decline. Rumours have even suggested that Thomas Tuchel’s signing as the club’s new head coach failed because Tuchel wanted to phase out both Ribéry and his congenial partner Arjen Robben. Jupp Heynckes has been less harsh with the French winger—after all Ribéry has defined an era at the Bavarian winger—telling the media that the French winger can still be an essential player for Bayern. Heynckes also suggested that Bayern should resign Ribéry. But Heynckes will no longer be the coach at the club next season, and it will be up to the new head coach to decide on Ribéry’s future. Ribéry in the meantime has told the media on several occasions that he wants to end his European career with Bayern. With his entire family in Munich, Ribéry is unlikely ever to leave the city fulltime, but a move to a league like Major League Soccer after his Bundesliga career would not be without question. A fast and dynamic forward Mark Uth was already on the move last summer. But a move to Köln fell through at the last moment. In retrospect, the failed transfer to the Billy Goats was a stroke of luck. While Köln are on the brink of relegation Hoffenheim are once again one of the top clubs in the Bundesliga and within a chance of returning to European football. With nine goals in 16 games Mark Uth, however, is unlikely to return to Hoffenheim next season. Tracked by Schalke, Borussia Mönchengladbach and Borussia Dortmund Mark Uth has a free choice when it comes to a new club. All three clubs can outspend Hoffenheim, which makes it almost certain that Uth will leave the club. 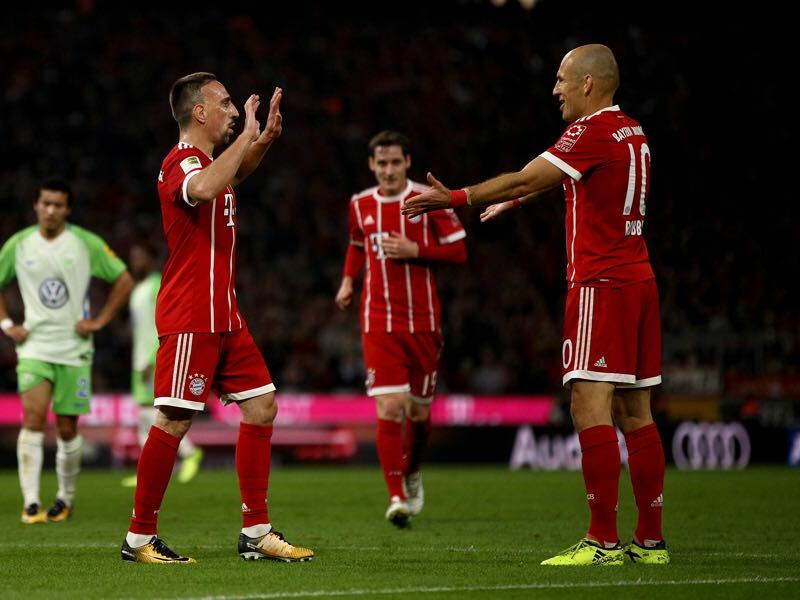 Like Frank Ribéry time for Arjen Robben at Bayern München is running out. The Dutch winger, however, still contributes to Bayern on a regular basis. With three goals and two assists, Robben is an absolute difference maker for the Bavarians. Robben, however, also has struggled with injuries at times and with the club looking to become younger Robben’s future might also be in doubt at the club. Robben has told the media in the past that he would like to return to the Netherlands when his career at Bayern is over. Heynckes has been adamant, however, that Robben can still offer something to the club and therefore like it is the case with Ribéry Robben’s future at the club will depend on the new head coach.